Gardening in San Diego, I’ve learned to look for certain things. Over the years, I’ve seen a lot of things, in a variety of neighborhoods. I’ve seen the future! I’ve seen the future of you and your family entertaining others outdoors with your new patio and built in bar-be-que. I see how wise you were to hire a professional landscape designer who suggested adding a shade tree where you are now relaxing in your chaise lounge in the shade. I see how much you are enjoying the new front walk of interlocking pavers instead of having to brush past your parked car on your driveway. I see you admiring your children watching the hummingbirds and butterflies we placed in your garden. I see you opening your water bill and nodding in appreciation that it is at least manageable and so much more so than when you had thirsty lawn. I see how your current landscape situation is no longer manageable, and look for solutions to every problem. I ‘m one who seeks the opportunity, turning problems in to possibilities in all situations. In most cases, I am invited into your home and I see how you live and how to extend your lifestyle into your backyard. I see your frustration from other contractor “horror stories” and provide you with trusted contractor. I am the artist who “paints” from a blank slate of the confines of your backyard. Adding a focal point to a key spot, I direct your view away from your neighbor’s new two story addition. I “frame” an area to highlight an ocean view. I create a pallet of color using nature changing throughout the seasons. And, I’m especially happy to see the look of satisfaction on your face when the landscape design has been fully executed and you couldn’t be more pleased. That’s what I live and work for, the pure joy of creation and seeing the reality unfold. To allow for future gardening in San Diego, I have to inquire about your budget. All too often I get calls of “I want to everything” but have only $3,000 to work with. I cringe when I have to tell that individual that half the budget will go to the cost of a design. And that a new front yard with new paving materials can run more than $10.000. It is my job to educate my clients as to the costs of the new landscaping. But like the credit card commercials, how does one put a price on the function, aesthetic, memories, and enrichment a great landscape will offer you. 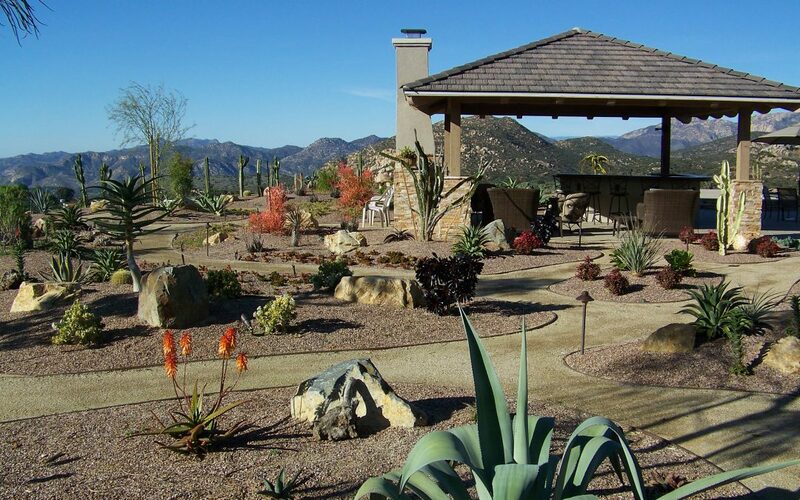 We live outdoors in Southern California, adding a decent landscape adds value to your home. Ask any realtor, and they’ll tell you the homes with an alluring curb appeal will sell faster for a higher dollar. My role of a Landscape Designer in San Diego is a dream job. I’m outdoors a good part of my day. No two days are the same. I get to be involved with some really fun people. I get to spend your money for your benefit. I get to see the results of my own ideas. It’s not always such a picnic. The landscape business is seasonal, there is a lot of down time around the holidays and winter. Then all of a sudden the phone never stops ringing you and attempt to assist as many people as you possibly can, one landscape emergency after another. It can be daunting juggling so many balls at once, you are the designer, the salesperson, the marketing guru, the accountant, the keeper of the calendar, and so forth. But would I trade it for any other role? Not a chance. We landscape designers are a committed bunch of individuals. We’re all trying to save this planet one yard at a time. Earlier today a client wanted a tropical backyard inland and I had to say “no thanks”, I want to sleep at night. Water is too precious. So hopefully when you decide to it is time for gardening in San Diego, you’ll ask the right questions and offer your own ideas to start the conversation. Tell me what your problems are, I’ll find the right answers. It may take some digging (and planting), but a good design is really a communication tool with those challenges taken in a new light, a positive direction and future growth guaranteed. Therefore, I confess I’m addicted to good design, plants, and creating outdoor spaces that meet your budget. 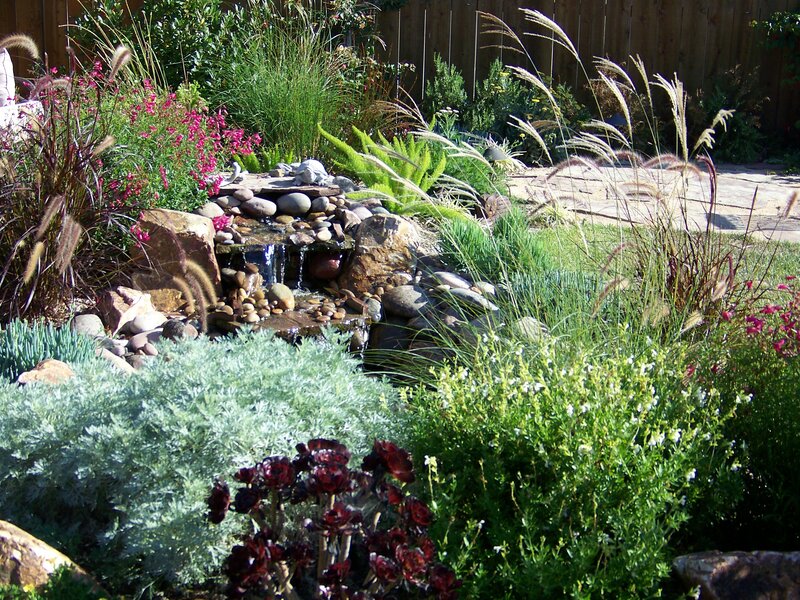 Contact Letz Design to find answers to your landscape issues. I’m always up for a challenge.